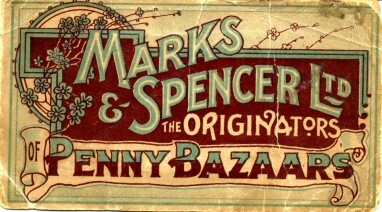 M&S has been advertising since at least 1909, when the Advertisements and Publication Department was established. From printed adverts in newspapers in the early years, to the entertaining cinema adverts of the 1950s, use this theme to explore the origins of the publicity campaigns used by the business today. Using this theme, you can also explore how M&S' branding has evolved - trace the history of our logo, advertising style and packaging design by looking at store photographs, marketing material and product. The items in this theme are only a small selection of the material held in the collection relating to Advertising and Branding. Use it as a starting point for your research and then discover more material using the 'Search' and 'Advanced Search' functions of our online catalogue.